Do you know how old the concept of brunch is? Nearly 120 years! The word appeared in print for the first time in the US in 1896. “The latest ‘fad’ is to issue invitations for a meal called ‘brunch…a repast at 11 o’clock a.m.,” a column in the New Oxford, an old Pennsylvania newspaper explained. In India, the concept reached much much later and in Kolkata, I think it has been only a couple of years since restaurants and hotels introduced elaborate Sunday brunches. 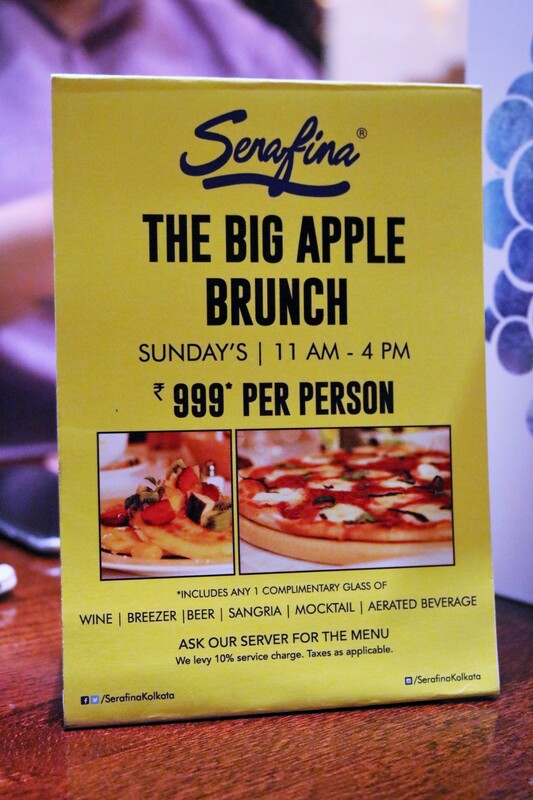 And one of the best in the city right now is The Big Apple Brunch at Serafina, inspired by the iconic New York style Sunday brunches.